That is really cool. 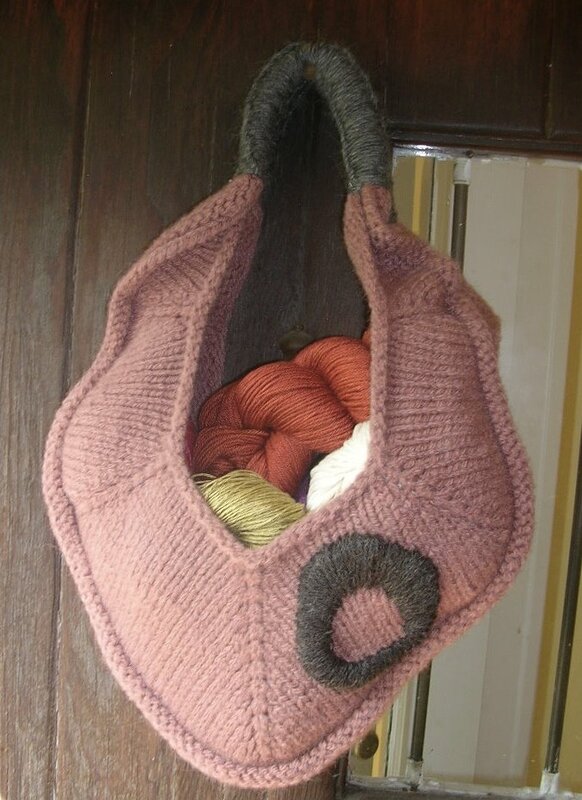 In the book, she makes a smaller bag with linen yarn and only casts on 40 sts. Its also lined. I like your bigger version better I think. I enjoyed your site! I love it! Does the 'O' need something contrasty--shiny and/or bright? The French Knots from the New Crewel would be great I think. 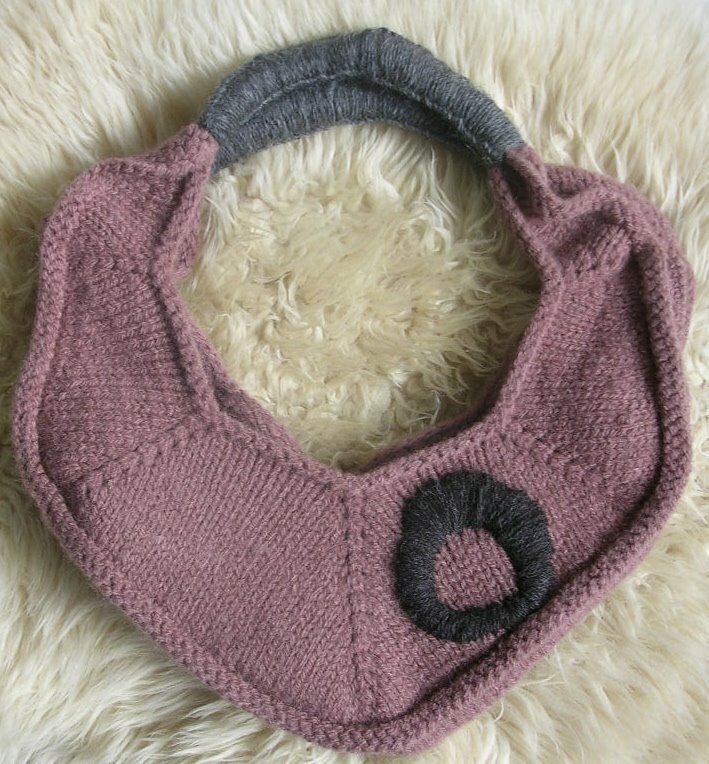 Or maybe a pearly button in the center of the O? It's in the book in LINEN? O dear!